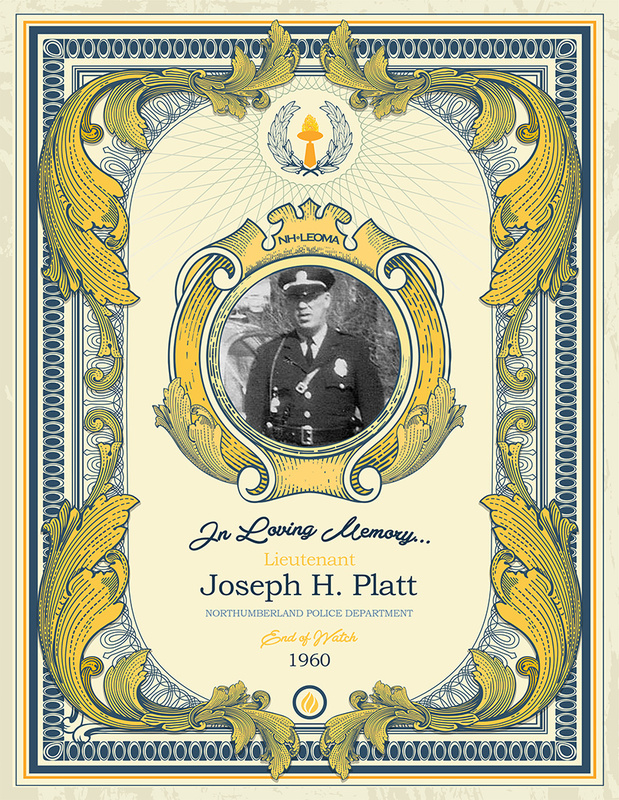 Joseph H. Platt was born in 1908 and became a police officer in 1931. He was with the Northumberland Police Department from 1955 until the time of his death. Officer Platt responded to a call for a disturbance and suffered a fatal heart attack after having an encounter with that subject. Officer Platt was survived by his wife, Mary Louise, and his six children; Hadley, Eleanor, Jeannie, Robert, John and Louise.